We’ve recently discovered a new species of cockroach in the genus Xestoblatta. It’s dirty, it’s ugly, it’s smelly, and it needs a name. As part of our campaign to fund a project about how tropical landscapes drive evolution, we are offering the opportunity for anyone with enough cash to name this new species. Why would you want to name a down-and-dirty insect like that? Because it’s the most low-down and dirty of them all! 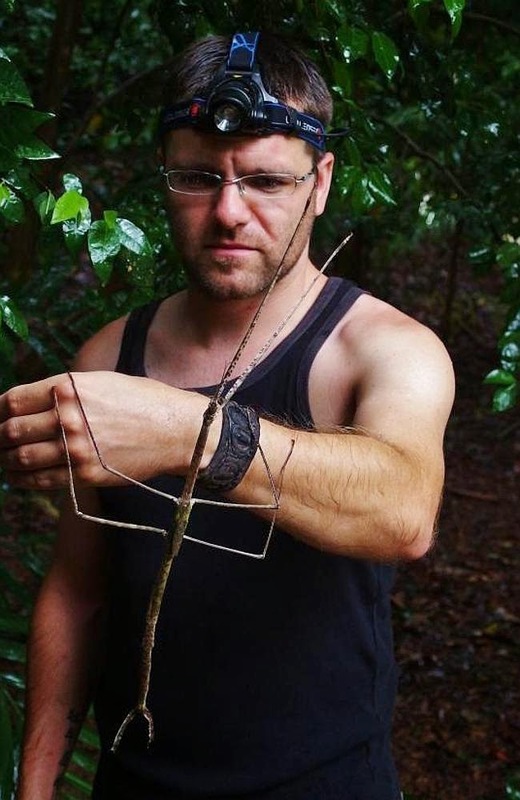 Museum Victoria live exhibits keeper Maik Fiedel with "Lady Gaga-ntuan", a half a metre long stick insect rediscovered in rainforest near Cairns. 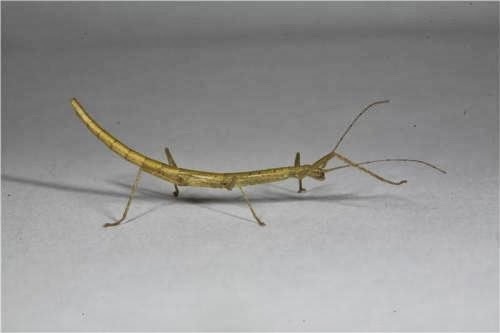 Scientists from the Museum of Victoria have rediscovered Australia’s longest stick insect near Cairns, during an expedition into the rainforest in January, reports the Townsville Bulletin . When someone says “lobster” some words that might come to mind are delicacy, fancy, luxurious and most dismally, market price. However, it wasn’t always this way. Formerly regarded as “the cockroach of the sea” and fed to servants, migrants and even people’s cats, lobster was the laughing stock of seafood. Regarded as a dish fit only for the poor, even having lobster shells in your house was looked upon as a sign of poverty. Yet today lobster is seen as the poshest of the posh, the cousin of caviar. So, how the hell did this happen? It starts with industrialization. When the railways began to expand across America, transportation managers realized that if no one apart from people who lived on the coast knew what lobster was, trains could serve it to inland passengers as if it were a rare, exotic item. This plan seemed to work as people started demanding lobsters beyond the railways and it didn’t hurt that around this same time in the late 1800s, chefs discovered lobsters tasted much better when cooked live. Restaurants, too, got the memo. Then during World War II, lobsters weren’t rationed like other foods, and so people of all classes began to eat it and “discover” its deliciousness. 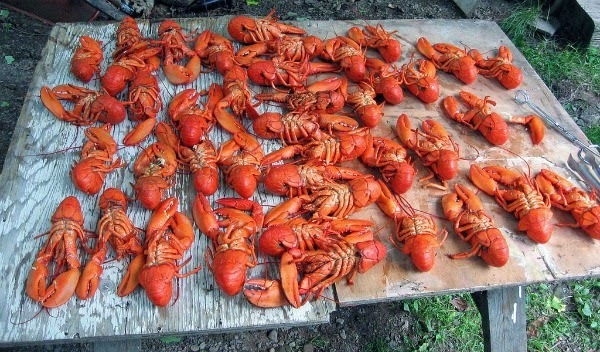 By the 1950s, lobster established itself as a bona fide luxury food item. Thirty years ago, the Turkestan cockroach made its way from Asia to the U.S., becoming the most common and predominant cockroach in the Southwest, invading homes, barns and entire apartment complexes. Romero has been researching this pest for two years, trying to find ways to control it. 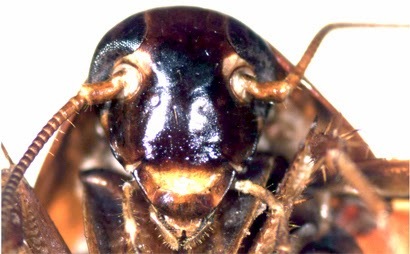 The Turkestan cockroach is a regularly seen in compost piles, leaf litter, potted plants, sewers, water-meter boxes, hollow block walls and under broken pavement. 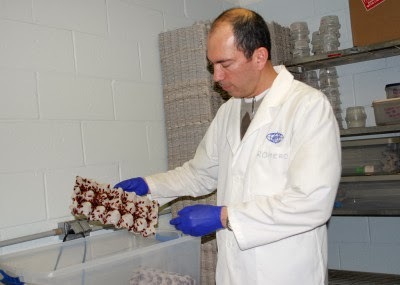 In the lab, the colonies of Turkestan and other cockroaches, which are mostly gathered by putting sticky traps around the building or in the field, are kept in plastic or glass aquarium containers, feeding on dog food and water. The hundreds of cockroaches stay together inside cardboard egg cases, scattering as soon as they sense movement. Turkestan cockroaches, which Romero has been collecting for three years, were first reported in California, Texas and Arizona and reproduce quickly, taking 6 months to grow to adult stage.